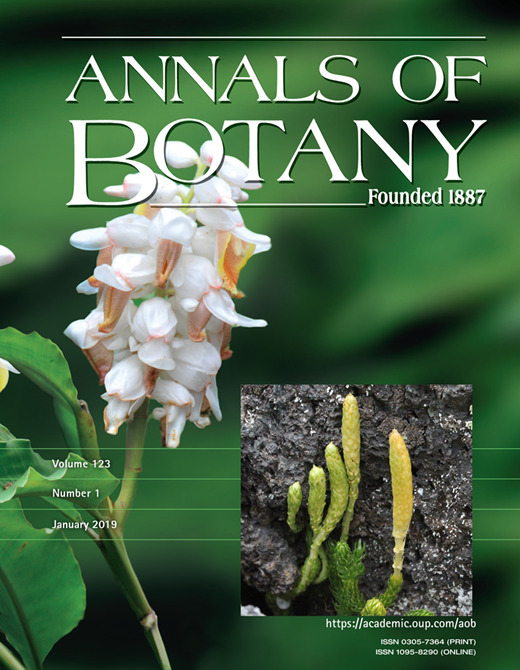 Annals of Botany is an international plant science journal with editorial offices in Australia, China, Japan, Mainland Europe, UK and USA. It is published monthly in both electronic and printed forms with at least one extra issue each year that focuses on a particular theme in plant biology. The Journal has an ISI Impact Factor of 2.939 (2007) and is managed by the Annals of Botany Company, a not-for-profit educational charity established to promote plant science worldwide. The Journal publishes full-length research papers, short communications, invited and submitted review articles and book reviews. It also publishes 'Botanical Briefings'. These are short commissioned reviews that appear in both printed and electronic forms and that are accessible electronically free of charge. All papers in each issue are summarized briefly in ContentSnapshots and a selection is reviewed in more detail in ContentSelect. A rigorous review process ensures that readers are exposed to genuine and novel advances across a wide spectrum of botanical knowledge. A paid open access option is available for this journal.